Recently, on a long drive out to a remote part of Western Massachusetts, my wife and I got into a discussion about the philosophy behind each of our driving styles. My philosophy on driving is that a good driver is able to manage what I think of as the calculus of driving: a complex analysis of the huge variety of factors that are thrown at the driver anytime they are behind the wheel where every little detail matters and even the tiniest of elements should not go overlooked. The philosophy really applies no matter what I am in control of, but behind the wheel of a nearly two-ton hunk of metal, it becomes increasingly important that my "calculus" gets to be pretty good. The idea here is that driving is more than just operating the pedals and directing the vehicle, it is about making decisions and choices that help keep traffic flowing smoothly and avoids creating a hindrance for other drivers. Let's take a look at what it means to perform the calculus of driving by examining some real world situations. Minis have always intrigued me. From the first time I saw one on TV, during a recap of a World Rally Championship from back in the day, I was fascinated with how people could actually take such a tiny vehicle and turn it into a full-fledged race car. Add in the fact that it always looks like a toy car that even a child could drive only piqued my interest further. Of course, the current iteration of the Mini is not the Mini of the past. Now a part of BMW's slowly growing brand portfolio, Mini has benefited from some of BMW's production, engineering, and marketing expertise, turning what used to be a small niche brand into a true global auto brand. BMW, in turn, has benefited from Mini's expertise to develop front wheel drive platforms that may underpin future BMW vehicles. The first of these that we have seen is the 2-series Active Tourer, a vehicle that looks like a Mazda5 dressed in fancy duds. However, this BMW involvement had many concerned that the very classically British character of the Mini brand would be stifled by the cold, austere demeanor of its German owners. Are the new variants, including some pseudo-SUV and pseudo-workman vehicles too devoid of real flavor to be an honest tribute to the Mini brand name? Last October, I attended the Cars and Coffee event put on by local dealer mogul, Herb Chambers. The event was great as it drew lots of enthusiasts of all stripes and included lots of people who genuinely appreciate cars. The variety of both cars and people who attend is astounding and I had the good fortune to find one more opportunity to check out the event this year. This time, instead of Sharon, MA, the event was held at Flagship Motorcars, a Mercedes dealership in the Herb Chambers family located in Lynnfield. It is well situated on a side street off of a major highway, allowing, one again, for a spectacular show as drivers departed the event. What sets apart these Cars and Coffee events from the official one for the Boston area is the fact that the dealership has access to a huge selection of exotic cars that they are not afraid to trot out and put on display. This means that even if participants are not able to make it, at the very least there is plenty of eye candy for all to see. Regardless if you are in a car, a motorcycle, or a bike, the only thing that keeps you connected to the road are the tires. Those little contact patches of rubber can make or break everything from the ride, handling, acceleration, and braking. On whole, most Americans probably spend very little time thinking about the tires that their vehicles are riding on. Most car owners buy a car with the factory tires and drive them until their mechanic tells them that they need to be replaced, at which time the owner pays to have them swapped out. Of course, monitoring tires can sometimes be as easy as looking at the tread wear indicators on the tire, but only if you know what to look for. And that TPMS system in your car will only warn you if your tire pressures are getting low. However, what if the tires pressure sensors, those federally mandated electronic monitors attached to the tire valve stems, could do more that just tell you if your tire was going flat? New advanced tire sensors are being developed that are sensitive enough to be able to determine the minute changes that take place in the tires rotation characteristics to be able to detect tread wear over time and its effect on the rolling diameter of the tire. The obvious application here is to be able to more easily tell owners when their tires are approaching a condition that it would be unsafe to drive in inclement weather. However, with just a little bit of coding in the background, it would also be able to discern things such as uneven wear that could signal problems with the suspension or even help owners with proper tire rotation schedules. Best of all, with in-car telematics getting better every day, all of this information could be available to you via an app on the smartphone you already own. Currently, Continental is the only tire maker focused on developing these more advanced sensors, but over time, it would not be surprising to see this technology start to proliferate to other manufacturers as well. 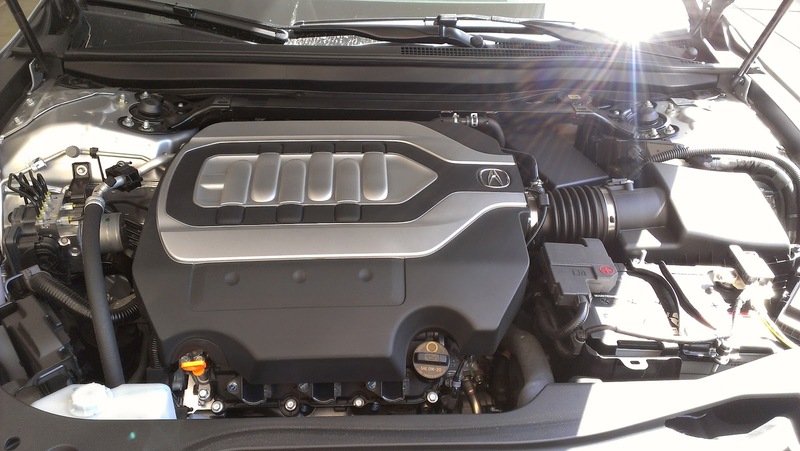 The 2014 Acura RLX has a strut bar...a bit unexpected. About two months ago, I got the opportunity to use the RLX as a daily driver for a little over a week. Just as I would have driven my own S2000, I drove the car to and from work, as well as to run errands and hang out with friends. During this time, I was able to find out some new things about the RLX that I had not noticed when we first drove the car back in December. As was initially mentioned in our first post, the RLX handles pretty darn well for a front-wheel drive car of its size. The Precision-All Wheel Steering (or P-AWS for short) does a great job at getting this nearly two ton sedan to rotate through corners quickly without nerve wracking understeer. Unfortunately, the RLX's nimbleness around corners does not translate to its ability to make a U-turn. While making a U-turn at a light one day, all the usual nimbleness of the RLX while carving up canyon roads seemed to vanish, and the car understeered like a pig. While a car's ability to make a U-turn is not generally considered a performance benchmark, I do worry that if you put your foot down too hard during a U-turn, you could potentially lose control. This is definitely something I did not experience with the 2011 RL thanks to its Super Handling All Wheel Drive (OR SH-AWD). I am guessing I will not have the same issue with the RLX Sport Hybrid, whenever it finally decides to show up. 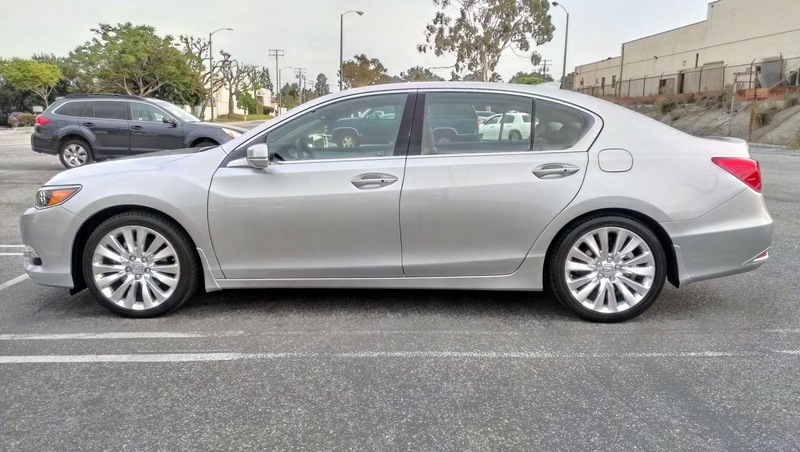 Another quirk about the RLX I noticed were its insanely grabby brakes. A gentle tap on the brake pedal can nearly bring the car to a complete stop at low speed. Every time I go from driving my own car to the RLX, I always forget how grabby the brakes are and it freaks me out. I do wish the brakes had a more progressive feel to it. I do admit though that I am impressed with the stopping power of the brakes. The RLX is a very heavy sedan, and for the brakes to bring the car to a dead stop that quickly is impressive. 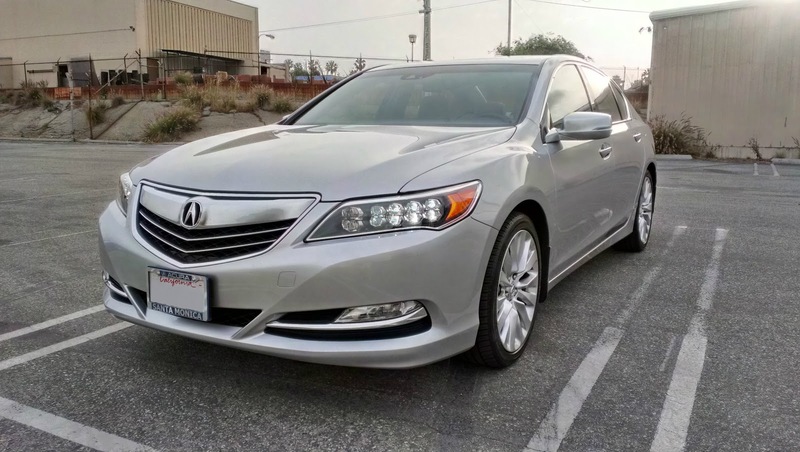 Most reviews and comments I have read about the RLX call the car bland to look at. Personally, I think it is a conservatively handsome car. While driving the RLX out to hang out with friends, I actually received quite a few compliments on how good the car looks. 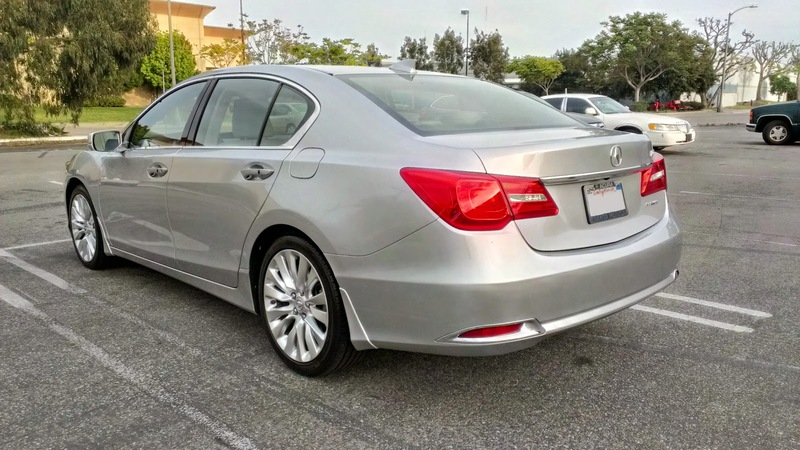 I often feel like the RLX, along with other Japanese luxury sedans, are unfairly criticized for their looks. If a German luxury manufacturer puts a car out that is merely an evolution of a conservative design they have used for years, it is called handsome and inspired. If a Japanese manufacturer does the same, it is criticized as being bland and uninspired. We have only had the RLX for about half a year now, so we are looking forward to more opportunities to test Acura's newest full-sized luxury sedan. A long road trip with the RLX definitely sounds like it will be a good test of its ride and new noise isolation technologies. I really did not realize it until this weekend, but many of my best childhood memories of family trips ultimately involved cycling and bodies of water. Whether it was riding along the perimeter of Lake Tahoe as a family on rented bikes or along the sandy beaches of Santa Barbara in a pedal-powered Double Surrey, some form of human power along the wet stuff manages to ingrain itself deeply into my memory. Most recently, I spent a weekend with my wife and some friends, exploring the Canadian city of Montreal by Bixi, their local bike share system. A city like Montreal, which is extremely cycling friendly (with over 300 miles of bike paths, including numerous dedicated cycle tracks and designated bike lanes, as well as about 5,000 bike share bikes available), is the perfect place to explore on two-wheels. Due to the proliferation of bike lanes, it was possible to crisscross the city fairly quickly and see a huge variety of sites in the limited amount of time we had. When we got to a place we wanted to explore in greater depth, there were bike share stations for us to park the bikes in and continue by foot. Even on the heavy Bixi bikes, the relatively limited elevation changes were manageable and the mild weather helped make the experience an extraordinarily pleasant one. And at CAD $15 for 72-hours and the ability to get anywhere in the city without worrying about parking, it was an inexpensive (if not quite totally hassle-free) option. 1. Cities that want to improve tourism should invest increasingly more in cycling infrastructure and a bike share program. 2. Cycling is an excellent alternative to other public transit options, such as taxis or even light rail because if offers greater flexibility. As a tourist, having the option and flexibility to get around a new town on two-wheels encourages me to explore a city more and allows me to spend more time checking out local merchants and restaurants. 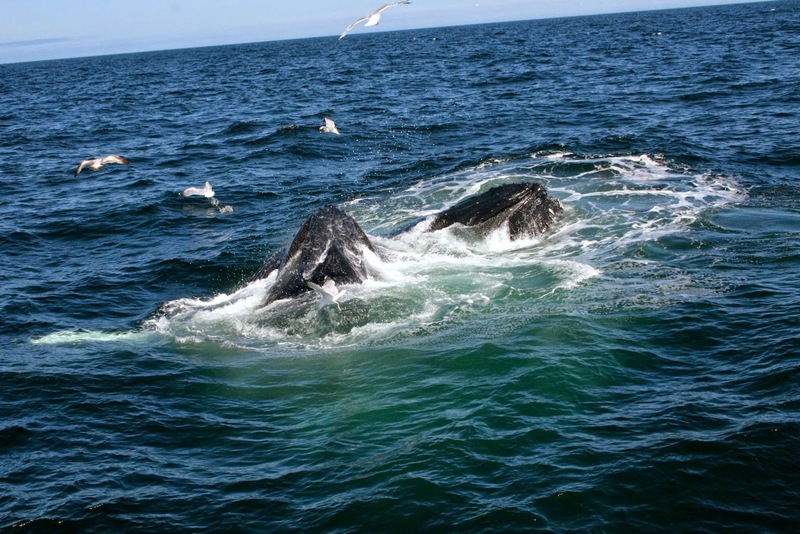 Plus, given how inexpensive it is as an option, it allows me to have a little more money to spend while I am in town. And the ability to come and go as I please and not be constrained by schedules or bumper-to-bumper traffic is a highly liberating sensation. With a big cross-country, multi-city trip coming up soon, I am looking forward to seeing many Mid-west cities by bike, albeit on my own bike this time. While I am sure I have said this before, I will say it again: I like the Subaru WRX. 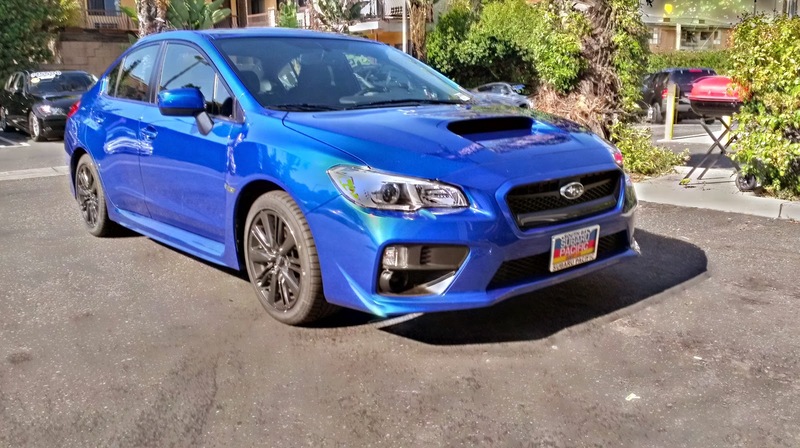 After test driving the previous generation's 5-door model, I felt that it was probably the best WRX to date. In fact, I liked it so much, I declared it the winner in our first Hot Hatchback comparison. When Subaru announced that a new generation of WRX was in the works, my interest was piqued. After seeing it in person at the Los Angeles International Auto Show last year, I was excited. When I finally got to test drive it, I was...confused. When most people see the words "all new" attached to a car, they will generally think that this new car is quicker, handles better, has new technologies, and is more fuel efficient than its predecessor. Unfortunately for Subaru, it seems they only got two out of four of those things right. Getting new tires for a motorcycle can be a bit nerve racking. Trying to figure out the best tire that fits my riding needs, but also satisfies my pocketbook and lasts long enough that this is not becoming an annual or semi-annual affair can be challenging. Add to that the fact that motorcycle tire technology seems to be constantly changing and the need to take it easy for a couple hundred miles while the new tires get scrubbed in just adds to my anxiety. So you can imagine that when my annual state safety inspection pointed out that the Metzler's that were on my BMW were on their last legs, I was not exactly a happy camper. Luckily, the folks at MAX BMW in NH came to my rescue. The Metzler Sportec M3s that were on my bike when I purchased it had served me well, but were not suited to my riding style, which is heavily focused on lots of long distances along back roads and not necessarily all out grip. If anything, the Metzlers provided too much grip and did not allow me to enjoy the control of the bike as much as I would have liked. When I finally took the BMW in to be serviced, I asked for a recommendation from the team at MAX and they suggested switching to the Michelin Pilot Road 3.